See everything at a glance. Remember if you 'fail to plan... you plan to fail'. 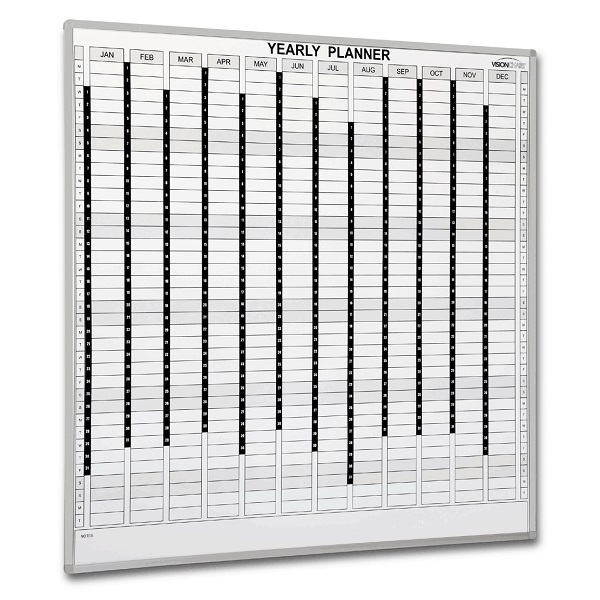 Get your business under control, allocate your time and take control of hectic schedules with our range of planner boards. Have another planner in mind? Contact us to discuss your requirements, we can design and supply anything. Deluxe Magnetic Perpetual Year Planner... Use year after year ! 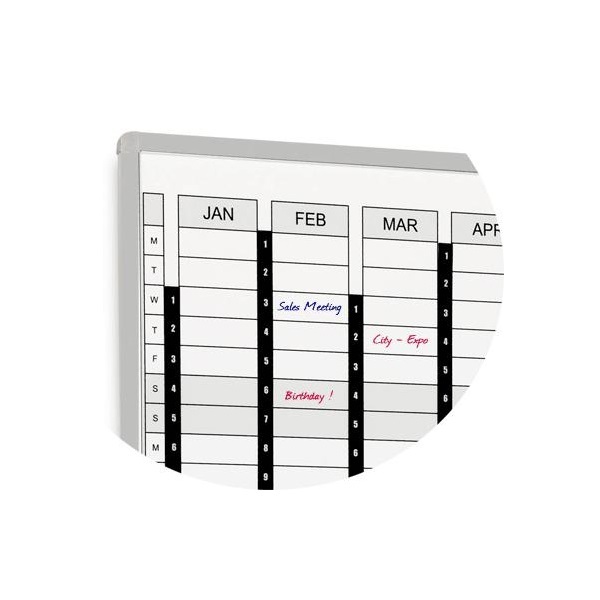 Each planner is supplied with Magnetic Date Strips, Public Holiday Markers and erasable whiteboard markers. Mounting wall screws and masonry plugs supplied for easy installation. 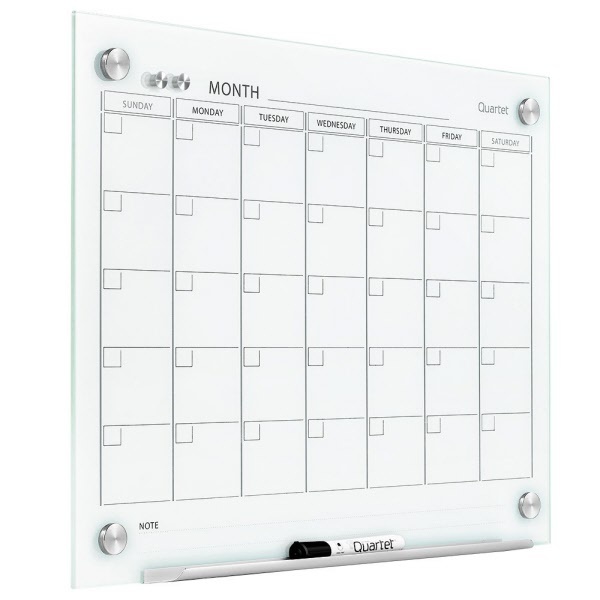 White surface, magnetic glass monthly calendar boards provide long term durability with a modern aesthetic appeal. The 1-month calendar design is reusable month after month. The tempered 4 mm magnetic glass surface will not stain, ghost, scratch or dent despite heavy use and has a 15 year surface warranty. Board is easy to install with included pass-through mounting hardware. Hang horizontally or vertically. Complete with adjustable pen tray and a Quartet marker. Prestige Porcelain Magnetic Planner... Start planning ! Stylish graphite frame with pen tray and a magnetic porcelain surface for durability and long life. Subtle shading for easy project tracking. Blank headings and columns for easy customisation. Each planner is supplied with an assortment of magnetic accessories and markers. 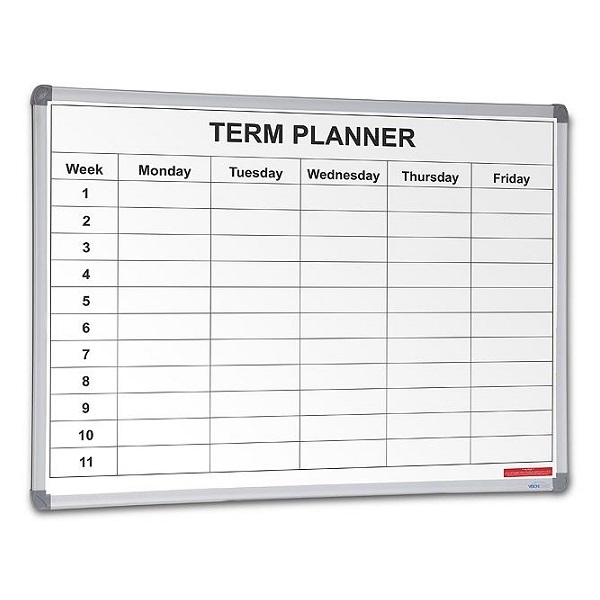 Deluxe Magnetic School Term Weekly Planner. 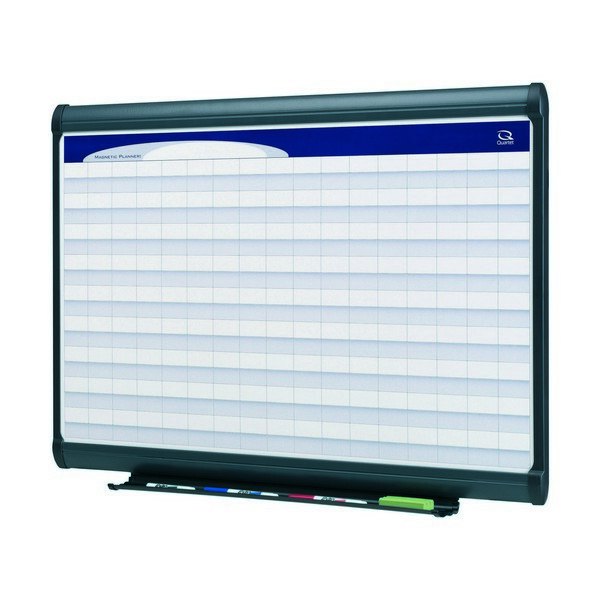 Each planner is supplied with erasable whiteboard markers. 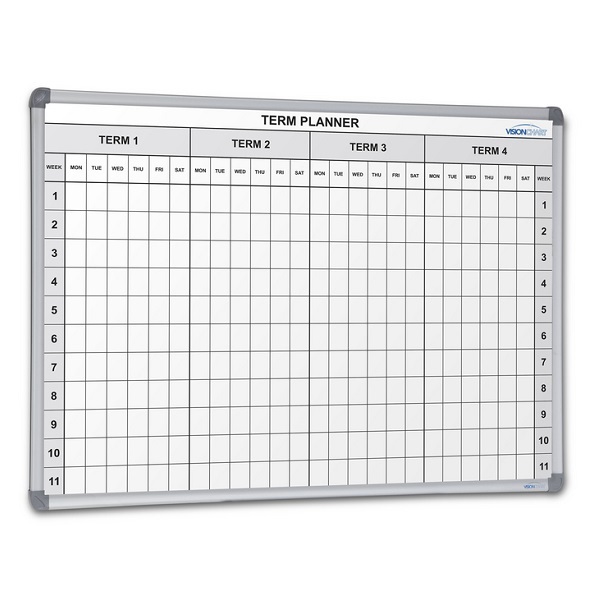 Deluxe Magnetic Four Term School Planner.